Ever thought that your Sunday backyard grill burger patties could come from a lab instead of a farmyard cow? Some claim its the future — so, what’s ahead of us? Back in 2013, Maastricht University’s Mark Post made a lot of noise about his lab-grown beef burger patties when he cooked them live on air for a British TV show. 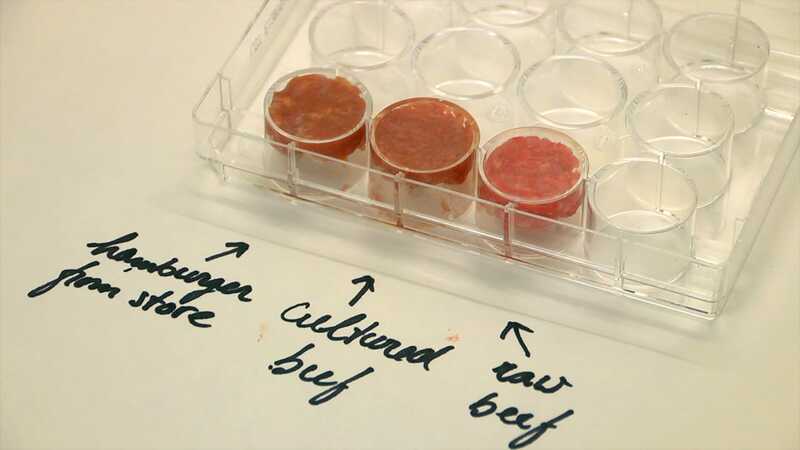 Post called it lab beef as “meat grown from the same cells that produce the meat in the cow, but this time outside the cow,” according to TIME. Post also said there were “no health concerns” — like E. coli or salmonella — with his lab-grown meat. The patty was made of 20,000 muscle fibers grown from cow stem cells, colored with beet root juice, and seasoned with saffron to achieve a realistic look and flavor. Tasters on the show remarked how the beef had a pleasing palatability and smelled like a real burger — but they complained it needed better color and lacked the juiciness provided by fat. More recently, Israeli startup SuperMeat crowdfunded over a hundred thousand dollars and is on its way to its goal of $500,000 to develop ethical, environmentally-friendly and healthier meat that “tastes exactly the same.” It’s based on the same principle of Post’s patties, where the developers expand and replicate tissues of meat from a small biopsy. With SuperMeat still finding a way to fund their study, and Post’s patties costing $331,000 each, lab-grown meat remains too-expensive. So why bother? While meat is generally healthy, high intake of meat correlates with many health risks, including cancer. 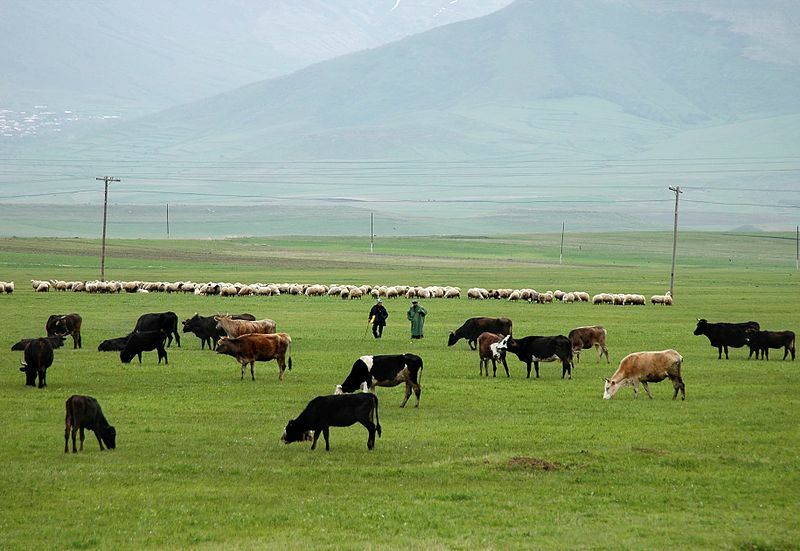 Post is optimistic the lab-patties may be a better alternative, as they avoid antibiotics, contrary to conventional cattle. More careful controls involved with lab-grown meat could also guarantee better safety. But what’s really driving developments is how livestock farming is taking a toll on the environment and our natural resources. Livestock worldwide emit the equivalent of 14.5 percent of all human-induced emissions annually; occupy 30 percent of the word’s total ice-free surface; and use up a third of the world’s fresh water. Estimates from the UN suggest worldwide meat consumption will jump 10 percent by 2030, so emissions and used up space are bound to skyrocket. The future meat industry doesn’t look good for the environment. “For the same amount of meat, cultured meat uses 99 percent less land, emits up to 96 percent less greenhouse gases, and uses up to 96 percent less water than the meat industry today,” SuperMeat developers said in a video. Developers see a cultural hurdle and a societal ick-factor to overcome before lab-grown meats are welcome. The product also raises questions about what could happen to farmers and jobs in conventional food production. Developers do note, however, that a mix of lab and conventional meat could be made available in the future. It may be several years and a long path of research and experimentation before lab-grown meats hit the grocery store. What’s certain is to be responsible consumers and stewards of the earth, technology and development must leap forward in progress.